State of Michigan Cautions human carnivores .. The state has made an exceptionally important announcement for those who would consider buying from an unknown person who shows up at your door selling ..meat. 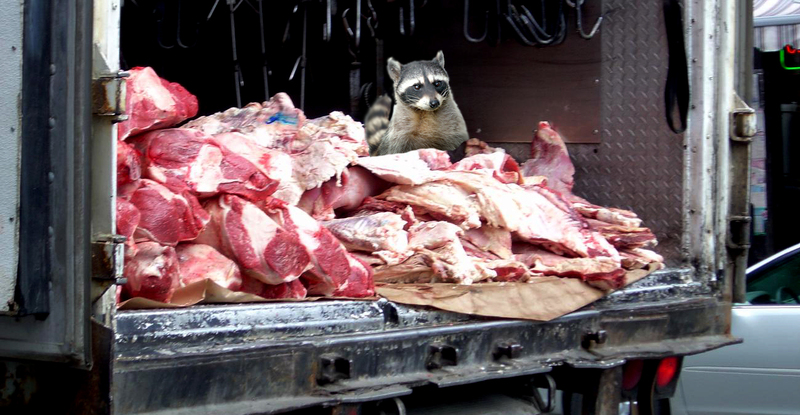 Never buy meat from an unrefrigerated vehicle or from the trunk of a car. This taxpayer funded intellectual exercise brought to you by a full time bureaucracy, funded by a full time legislature that is too busy planning gas tax hikes. And if the meat doesn’t taste so fresh? Door-to-door meat sales are also regulated by the Michigan Home Solicitation Sales Act, Public Act 227 of 1971, which outlines your rights as a buyer and your right to cancel the sale and return the product within three business days. Details of this law can be found at http://legislature.mi.gov/doc.aspx?mcl-Act-227-of-1971. I was watching the movie "Home" with my family over the weekend. Short summary for those who haven't seen it yet; it is an animated "family movie" that deals with an alien invasion of Earth....with a twist. Without giving away too much from the movie, there is this scene where one of the aliens, "Oh" (that's really the character's name), is in a restroom and comments to another character in an adjacent room about the interesting "blue disks" next to him. You then hear him scream and warn about eating the blue disks because they don't taste very good. He then is relieved because their is a bowl of "yellow lemonade" that he would use to get rid of the bad taste in his mouth. I shouldn't need to draw anyone here a map on where this 'joke" is going (I didn't say that it was a good "family film"). I'm waiting for the "Michigan Department of People with Nothing Better to do with their time" to come out and mandate warning labels to be prominently displayed so that people don't do this in real life (pick one...or both). Because as this press release indicated, we are all just too stupid to know what is and isn't healthy for us. Okay CS, ya got me on that one.